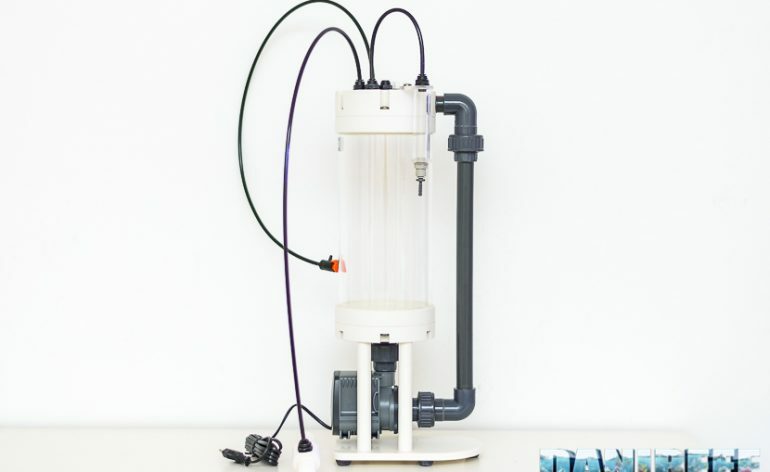 Calcium reactors usually aren’t noisy devices. The only audible noise is, in fact, the shredding of the CO2 bubbles in inside the recycling pump. But this reactor adopts a slightly different scheme from the usual, because of the CO2 is put from above directly in the cycling circle – whose pump is at the bottom, in this way the shredding of the CO2 is anaudible. 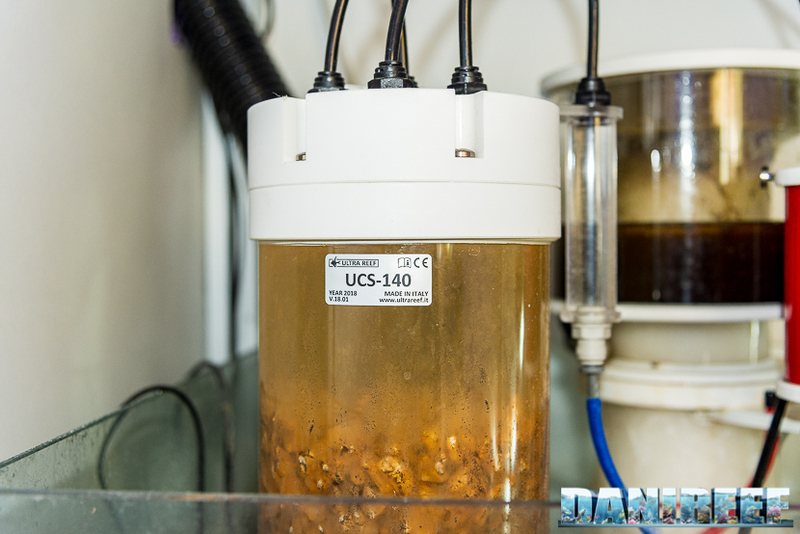 The UltraReef UCS 140 has a pretty big pump, the Sicce 2.0, that, unluckily, despite our rubber feet, it leads the reactor to slightly vibrate and so it’s a bit noisier. But this could also be defect attributable only to my sample. They have so many differences, even if the functioning system is the same, with pump placed at the bottom. The diameter is bigger, and with it also its capacity. From 3 liters to about 3,5 liters, improving of the 17%. The pump is changed, increasing the pull a lot (head +18% and flow rate + 69%). The screw set in completely in titanium, even if the last samples of UCS 120 has date. 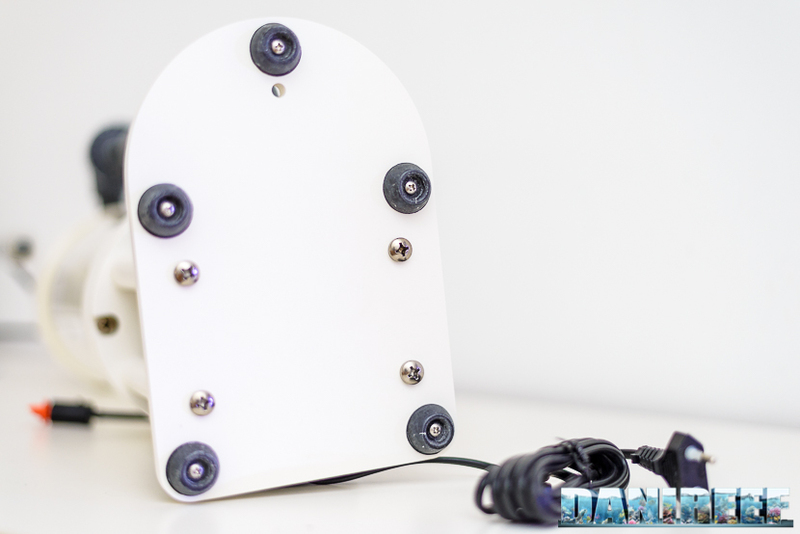 The support plate is provided with rubbers dampen the vibrations. The PVC pipes that sustain the cylinder are now in white PVC and not grey. The superior cap is way more refined, and there’s also the exit for the air release. And now the price. It’s passed from 380 to 459, with an increase of the 20%, in line with the increase of the characteristics of the reactor itself. 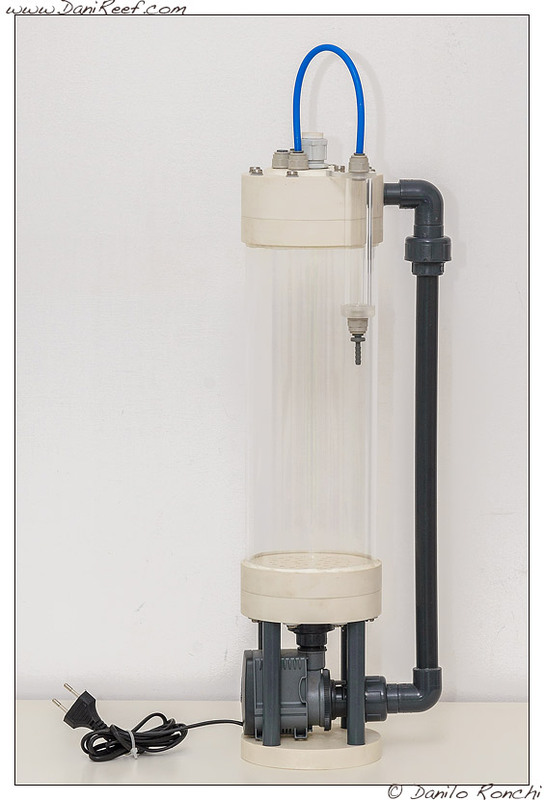 So we can say that increasing volume, flow rate, hydraulic head to a value similar to the increase of price, but also having several improvements in the construction and in the provided accessories, we think that this reactor is more convenient than the old one. 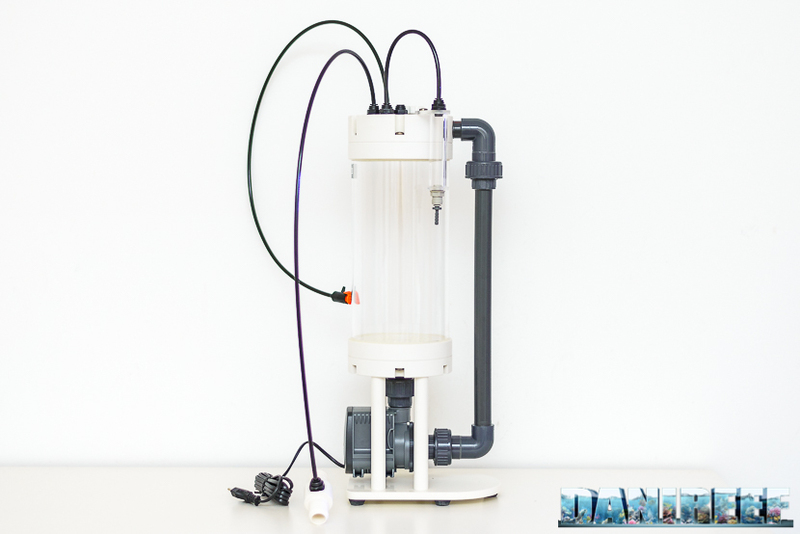 After six months of use of the calcium reactor UltraReef UCS140 we want to strongly recommend it. Its functioning has always been excellent and flawless under in every situation, both under load and in empty tank. I only suggest you to use the coralline in place of the ARM, whose yield continues not to convince us. The reactor has a probe holder for a comfort control through solenoid valve, it already has the recycling of the CO2, therefore it doesn’t need anything to work at its best. I think that the reactor UltraReef UCS140 suits aquariums full of hard corals until 700/800 gross liters, for once much more than the one suggested from the producer. Obviously it’s possible to go further but you will have to refill more often the material. Instead, if you want to use it in aquariums with hard corals LPS and soft corals, I think that it could work well also with aquariums until 1.500 liters. The price of the reactor is 459 euro and it’s pretty much appropriate for a reactor of this class. Seen the high quality of the materials, the construction is flawless, as well as the functioning.